This Whirlpool dishwasher can clean dishes with 3 different wash cycles. The plastic interior helps retain heat to speed up the drying process. The included Sound Reduction Package helps dampen dishwasher noise. This front control dishwasher is simple to program with the push button controls. Reduce energy use with this ENERGY STAR Certified Appliance. 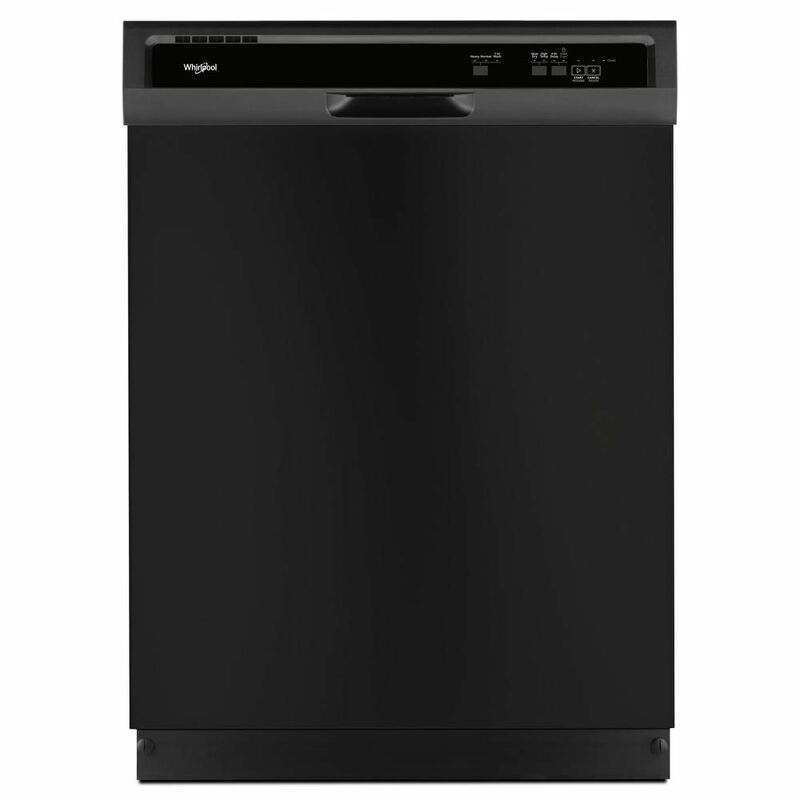 Front Control Dishwasher in Black with Plastic Tub - ENERGY STAR® This Whirlpool dishwasher can clean dishes with 3 different wash cycles. The plastic interior helps retain heat to speed up the drying process. The included Sound Reduction Package helps dampen dishwasher noise. This front control dishwasher is simple to program with the push button controls. Reduce energy use with this ENERGY STAR Certified Appliance. Front Control Dishwasher in Black with Plastic Tub - ENERGY STAR® is rated 4.5 out of 5 by 728. Rated 4 out of 5 by Missynay from Our kitchen/living areas is open, it's quiet enough that we... Our kitchen/living areas is open, it's quiet enough that we can run it and watch TV. I rinse by hand lightly and then use the heavy wash cycle. Water stays in anything concave, but I'm just ready with a hand towel to soak that up before emptying. Overall pretty satisfied for what we could afford. Rated 5 out of 5 by Marcopolo from Easily installed, works well, very quiet.... Easily installed, works well, very quiet.